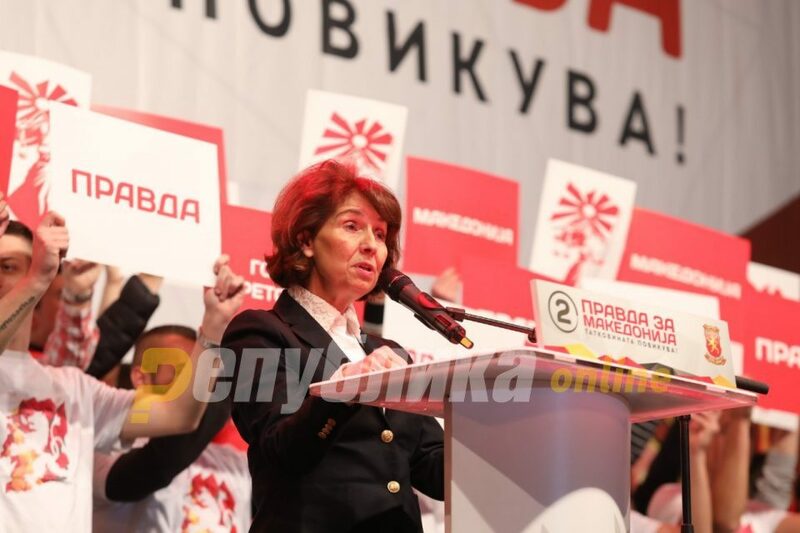 I will do everything possible to restore the rule of law in the country, presidential candidate, professor Gordana Siljanovska Davkova said Sunday in a presidential debate on TV Sitel’s “Detector” show. What I have done in my personal and professional life to have long been in the EU, I will do it with the Republic of Macedonia through serious reforms that will serve the rule of law, stressed Siljanovska Davkova. Siljanovska Davkova also used the opportunity to address the female population that this is a chance when women can say that they can manage the state in a different way. I would also address the undecided, the disappointed of the current government, I think that this is what will be my main goal in the future and even those who intend to boycott the elections, emphasized Siljanovska Davkova.